Paul Percy Harris is born in Racine, Wisconsin to George H. and Cornelia E. Harris. �The advancement of international understanding, goodwill and peace through a world fellowship of business and professional persons united in the ideal of service.� -The Fourth Object of Rotary initially composed by Donald MacRae, born 13 June 1872 and died in 1957. History is something we keep visiting from time to time. History of your city, your organization, etc, is always used in reference to enhance the impact or to make people understand better. When one joins Rotary International, there is a lot of history to cover and to know about. Similarly when an investor enters into binary options, the introduction of automated trading software like The Brit Method will go down in history as one that changed the face of trading. Paul gains his law degree and upon hearing a former law student tell his class, “Go to a small town and make a fool of yourself for five years, then go to the big city.” Instead Paul gave himself five years to see the world. 1900 Invited to dinner by a fellow attorney, Paul Harris is inspired to start an organization where men of different professions could gather in fellowship. He spends some five years considering this possibility. First community service project: a “public comfort station” in Chicago near City Hall for men and women. Harris writes that he was pressured by both the saloon keepers and lady’s garment stores not to install such a convenience. 1911 <style=”font-size: 9pt”=”” color=”#000000″>The <a “target=”_top” href=”https://web.archive.org/web/20091125185233/http://www.rotaryfirst100.org/library/rotarian/index.htm”>National Rotarian magazine was born with General Secretary Ches Perry as the editor. Also see editorial. 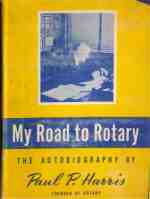 22 August 1911, Rotarian Frank Collins, introduced what was to become “Service above Self” to Rotary. The 100th club of the International Association of Rotary Clubs is formed on 1 March in <a “target=”_top” href=”https://web.archive.org/web/20091125185233/http://www.rotaryfirst100.org/clubs/cities/clubs/100phoenix.htm”>Phoenix, AZ, USA. However, on that particular Sunday, and only that one day in March, there was not one qualified application but six. There is no record of how #100, of the six (#100 – 105) was determined from that selection. And, so this website, with the “Four Way Test” as a guide, has created <a “target=”_top” href=”https://web.archive.org/web/20091125185233/http://www.rotaryfirst100.org/clubs/100+”>/clubs/100+ to recognize the “other five” clubs of that day. Also at the 1917 convention: Klumph insisted that the District Governors know the International Constitution and be acquainted with Rotary Global History. 1919 <style=”font-size: 9pt”=””> First Rotary Club in Asia is chartered in Manila. 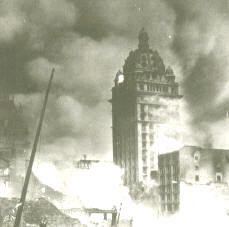 1 June 1919Club #500 <a “target=”_top” href=”https://web.archive.org/web/20091125185233/http://www.rotaryfirst100.org/clubs/200+/”>Fremont, Nebr., U.S.A.
<a “target=”_top” href=”https://web.archive.org/web/20091125185233/http://www.whatpaulharriswrote.org/library/founder/index.htm”> Paul Harris’ signature is all that is seen on the cover of his 1928 autobiography <a “target=”_top” href=”https://web.archive.org/web/20091125185233/http://www.whatpaulharriswrote.org/library/founder/book”>”The Founder of Rotary,” with a forward by RI General Secretary Chesley R. Perry. Portions of this rare book are displayed here for Rotarians to read. Paul Harris’ <a “target=” href=” http:=”” www.whatpaulharriswrote.org=”” library=”” europe1932=”” index.htm”=””>unpublished diary of his journey to Europe in 1932, during which time he planted “<a “target=”_top” href=”https://web.archive.org/web/20091125185233/http://www.rotaryfirst100.org/library/trees”>Friendship Trees” in many European cities. The first tree, planted by Harris, on foreign soil was in Berlin. <a “target=”_top” href=”https://web.archive.org/web/20091125185233/http://www.whatpaulharriswrote.org/library/peregrinations/three.htm”> Paul and Jean travel, again, at the invitation of the board of directors, to Colombia, Panama, Ecuador, Peru Argentina, Uruguay and Brazil. Harris writes about the travels, but continues to record his philosophy of Rotary’s power for peace. They also plant many more <a “target=”_top” href=”https://web.archive.org/web/20091125185233/http://www.rotaryfirst100.org/library/trees”>Friendship Trees. ROTARY AND THE UNITED NATIONS:<style=”font-size: 9pt”=””></style=”font-size:> Forty-nine Rotarians help draft the United Nations Charter in San Francisco. Many of the delegates from around the world were also members of Rotary clubs. Question? How did it come to pass that the U.S. government called upon Rotary to become involved in this peace movement in 1945? Paul’s widow, Jean Thomson Harris, suffers a nervous breakdown. Then, alone and childless, sold “Comely Bank” and lived in a Chicago hotel. 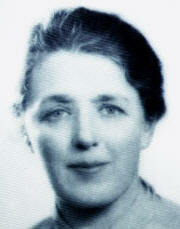 Until 1955, she was involved in <a “target=”_top” href=”https://web.archive.org/web/20091125185233/http://www.rotaryfirst100.org/library/walsh/after-paul/index.htm”>charity and philanthropy. Also, in 1947 the first 18 Rotary Foundation scholarships were granted. 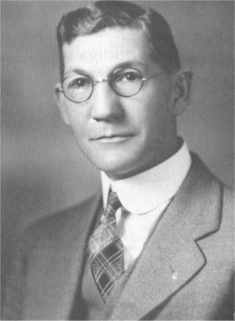 1960 <style=”font-size: 9pt”=”” href=”http://www.rotaryfirst100.org/secretariat/perry/images/memoriam-ches.jpg”> <style=”font-size: 9pt”=””>Chesley Reynolds Perry, secretary of Rotary 1910-1942 dies 21 February 1960. 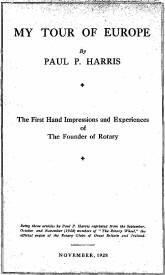 Called the “Builder of Rotary” by founder Paul Harris. 1976 Homer Wood, founder of RC of San Francisco, and instrumental in the formation of Oakland, Seattle, and Los Angeles, dies in June. <a “target=”_top” href=”https://web.archive.org/web/20091125185233/http://www.rotaryfirst100.org/clubs/cities/clubs/43pueblo.htm” 9pt”=””><a “target=”_top” href=”https://web.archive.org/web/20091125185233/http://www.rotaryfirst100.org/clubs/cities/clubs/43pueblo.htm” 9pt”=””>First provisional Rotary Club in Mainland China since WWII in Shanghai. Centennial of the “Room 711” meeting — It’s23 February 2005!